The pack consist of transparent .psd isolated objects of each them and the .txt with the attributions and a .jpg with the preview. 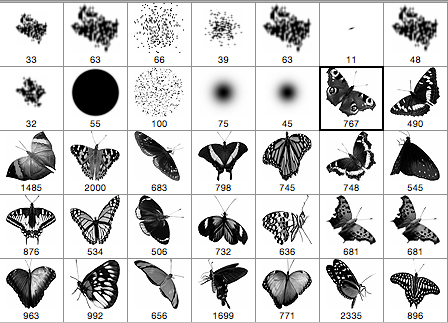 In addition to the Butterflies Vector and Png Clipart Pack these are a set of 23 free Photoshop brushes made from the png files of that set. Most of them have around 1000px in size and some up to 2000px, ideal for print designs.